I am sure that none of you never visit facebook. Am I right? :-) There are many reasons for a user to use this social networking service. Most of us use facebook to connect with friends and browse interesting stuff. Some may use it to have a private chat with their boyfriend or girlfriend; some people like to play Facebook games, perform online marketing, flirting and so on. In today’s digital age, social media platforms play an important role in terms of business, socializing and entertainment. We live in a social media bubble where posts, feeds, likes, comments, Tweets, and shares have become an important part of our day-to-day lives. A number of social media platforms have been mushrooming in every corner of this global village. Amongst these, Facebook is considered to be the go-to platform. With +/- 2 billion users that are growing at the rate of 17 percent each year, this social networking platform is the epitome of connectivity. So if you are on Facebook, either for business or leisure, chances are you want to get your likes up. There are users who are looking for getting Likes and comments for their status, profile picture, images, pages etc. There might have some people begging their friends to like their status and pictures through personal chat. There are no hacking tricks to get millions of likes on Facebook. If it exists, only deadly hackers and programmers able to make it. Are you a hacker or programmer? Absolutely No. So we are sharing some other useful tips to get a good amount of Likes for your Facebook Pages, Profile Pictures, Status etc. Here is a list of techniques you can use to magnify your likes on Facebook. Be it posts, pictures, videos or GIFS, these strategies can be applied to any type of content. One of the best ways to tell people about your post is by tagging relevant individuals. What relevant individual means is people, who are related to your product or service, and at the same time, have a large number of followers. This way, you are not only exposing your posts to people you know but also people, who are friends or followers of others. This is how viral marketing works without you spending a dime! Tagging is an awesome way for receiving natural likes. Tagging is possible if you upload a picture or when you change your profile picture. Currently, Facebook allows a maximum of 50 tags which is quite easy for the tagged friends to likes on your post or profile picture. You may lose the like of your best friend if he or she fails to discover you are posting new updates. This can be solved by tagging your friends. Your friends will be notified with this tagging. When others comment or like on the post, they will be notified as well. This increases the chance to get them like on your post or picture. Since Facebook only allow 50 tags per post, is that mean each post can only get the attention of 50 people? Re-Tagging: After one or two days, remove the old tagging and tag another 50 friends. Continue this process until you finish tagging all of your friends. If you have 2000 Friends, you will have big chance to get more than 500 Likes. Note: This method is somehow annoying and might get some friends to “Unfriend” you. Read another method below if you do not want to annoy your friends. Facebook gives you an option to run an advertisement that will help increase page or post likes. You can set a budget for the day and run these advertisements. Since you will have the option to target your audience, the advertisement will be shown just to people, who are interested in what you want to sell or offer. As a result, you will be able to generate genuine likes much faster. Of course, it costs money, but sometimes, it is worth the expense. If you are interested in trying the Facebook advertisement but lack of experience or never know how to run it, you can have a look at Fiverr. There are some cheap and useful gigs that can help you to set up and run your first Facebook advertisement successfully. Content is the base of your Facebook page or account. By posting just interesting, informative content that is relevant to your audience, will you be able to generate a huge number of likes organically. The content should also be in different formats like videos, GIFS, images, and infographics to break away from the monotony and keep visitors coming back for more. This keeps your page fresh and also engages your audience. By partnering with influencers, who have plenty of likes on their pages or accounts, you can drive their traffic to your page. A simple post or shout out with your name tagged on their page can make a huge difference. Since the figure you are associating with has built their authority and people believe what they have to say or recommend, you will find that their followers and friends will be more willing to check out a page or post that has been recommended by the influencer. Common Doubt. If you don’t like tagging all your friends, there is an alternative method. If you like or comment anything on Facebook, there is a big chance that it will show up on your friends’ news feed. That means, while you upload or update a new status, there is a possibility that your friends will see it as well. The main idea of this method is “weird” but it might work to get you some free likes. Browse through your Facebook image library and like your own image. With this method, your image probably will be showing up on their newsfeed. Just they may know that you are liking your own picture. These are the most effective ways of pumping up the likes naturally on your Facebook posts, be it a status updates, images or videos. A huge number of likes gives you confidence that your content and posts are reaching their intended audience. It is also a sign that your content is relevant and is being appreciated by people you are trying to relate to. So go ahead and implement these strategies and increase the number of likes of your content on Facebook. FastFaceLikes.com offers fast and real Facebook likes. 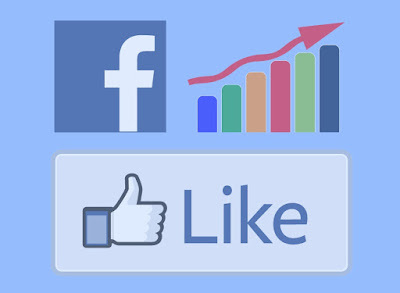 Whether you are looking to become more popular, gain more customers, increase your visibility or boost your search engine ranking, when you buy facebook likes or social media services, you are helping improve all of these opportunities. Boost your credibility, customers confidence, achieve amazing business results and many more.